Founded in 1950 in Columbus, Ohio, Plaskolite is the largest U.S. manufacturer of continuously processed acrylic sheet products. The firm has more than 630 employees and operates facilities in Ohio, Texas, California, Mississippi, Mexico, and The Netherlands. 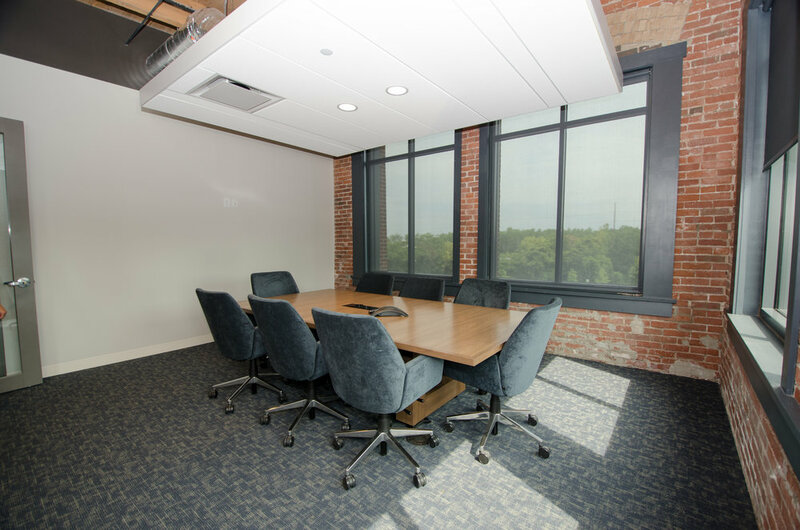 Plaskolite opened its new corporate headquarters in Columbus in the historic Buggyworks building, named for its history of manufacturing carriages used in horse-and-buggy transportation. Integrated Building Systems provided a comprehensive, design-build solution to provide a modern, collaborative work environment for the historic facility, including the structured cabling, telecommunications room, audio-visual solutions, access-control system, security cameras, WiFi, sound masking, and digital signage. Integrated Building Systems President Chip Chapman said that early planning was key to the project’s success. “It would have been impossible to pull off this type of project if we hadn’t been engaged at the design stage. There were just too many details to plan in order to get technology where Plaskolite wanted it, and to create an aesthetically pleasing outcome,” he said. "IBS was the easiest firm to work with on the most-complicated elements of the project," Dennis said.